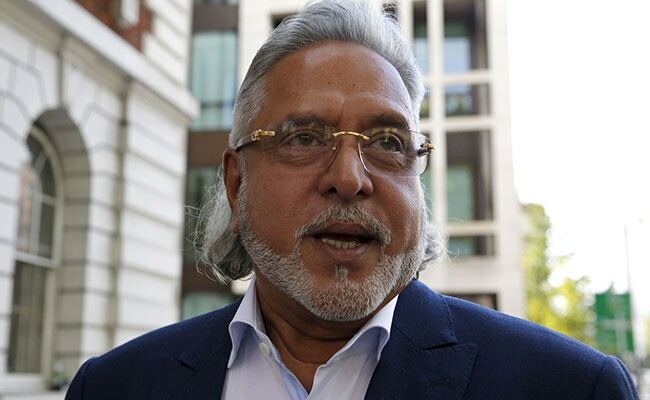 The Indian government's assurance will be conveyed to the Westminster Magistrates' Court in London through the Crown Prosecution Service (CPS) which is arguing the extradition case of Mr Mallya on behalf of the Indian government. Vijay Mallya has been in the UK since March 2016. New Delhi: India will soon convey to a British court that fugitive liquor baron Vijay Mallya will not face any threat to his life in jail, if extradited in connection with a Rs 9,000 crore loan default, officials said. The decision has been taken at a high-level meeting chaired by Union Home Secretary Rajiv Gauba and attended by representatives of various authorities, including the Ministry of External Affairs yesterday, a home ministry official said. The meeting deliberated on the response to be filed in the UK court, rejecting Mallya's apprehension that he will not be safe in Indian jail if sent back to India to face trial in the Rs 9,000 crore Kingfisher Airlines loan default cases. With a detailed assessment of security cover given to prisoners in Mumbai's Arthur Road jail and Delhi's Tihar jail, the Indian government will tell the UK court that when extradited, Mallya may be lodged in Arthur Road jail where he will get full security cover as an undertrial prisoner, the official said. The Westminster Magistrates' Court will start hearing the extradition proceedings from December 4 and a reply by India would be filed in the next few days. The British court will be told that prisoners, both under trial and convicted, get full security cover. It is the duty of the State to ensure security and Mr Mallya's apprehension about threat is "misleading", India will tell the court. By making such allegations, Mr Mallya is trying to save himself from getting extradited to India to face the trial in a case of cheating a consortium of banks, another official said. Mr Mallya has been in the UK since March 2016 and was arrested by the Scotland Yard on an extradition warrant on April 18. However, he was soon granted bail by the court. If the judge rules in favour of extradition at the end of the trial, the UK home secretary must order Mr Mallya's extradition within two months of the appropriate day. However, the case can go through a series of appeals before arriving at a conclusion. India and the UK have an extradition treaty, signed in 1992, but so far only one extradition has taken place under the arrangement. Samirbhai Vinubhai Patel was sent to India last October to face trial in connection with his alleged involvement in the post-Godhra riots of 2002. However, unlike Mr Mallya, he had submitted to the extradition order without legal challenge.